It’s one of those days where you’ve sent out a good amount of sales emails and made enough calls to make your mobile phone provider say “ka-ching!”. You want more prospects, you want more leads. Where can you find them? For a while, you’ve been hearing that social media is the place to be. Every expert in the industry seems to be talking about the amazing powers of using LinkedIn, Twitter, and even Facebook and Instagram, to find and research prospects, discover information that can help build a connection, start a conversation and get a foot in the door. 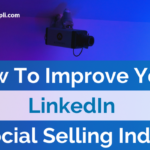 They call it “social selling” and, according to Forbes, 78% of sales professionals who practice it outperform their peers. You understand the potential benefits, but you don’t feel like you have the time to actually do it. You would need at least 20 minutes per prospect to do a social media search on each name on your current list. That’s at least two hours a day you simply do not have. As they say, time is money, and nowhere is that more relevant than in sales! At SoAmpli, we believe there is nothing more powerful than the combination of deep insights and creativity when it comes to engaging prospects and creating powerful connections. Combine it with timeliness, simplicity, and speed and you have a tool that any salesperson can get on-board with (no matter how tech savvy). Our goal has always been to offer a tool which continuously helps marketing teams improve their online content strategies to raise brand awareness and increase content’s ROI, while empowering salespeople to easily connect with prospects through social media, nurture their existing leads along the sales cycle and generate more business opportunities. 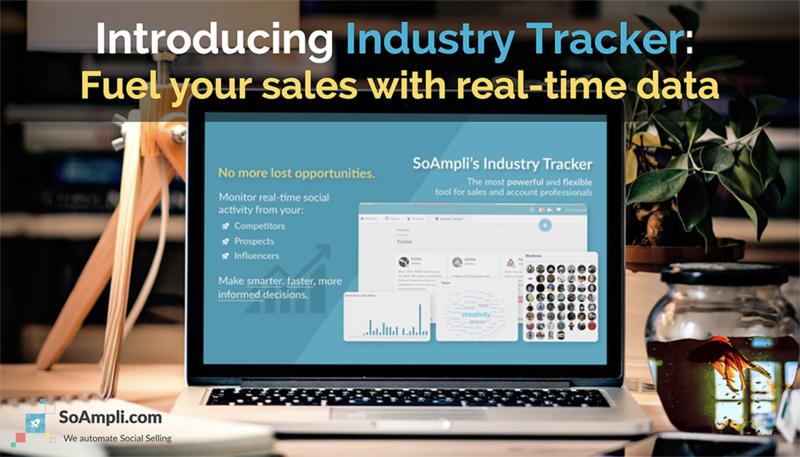 This is why we are very excited to introduce SoAmpli’s revolutionary Industry Tracker. 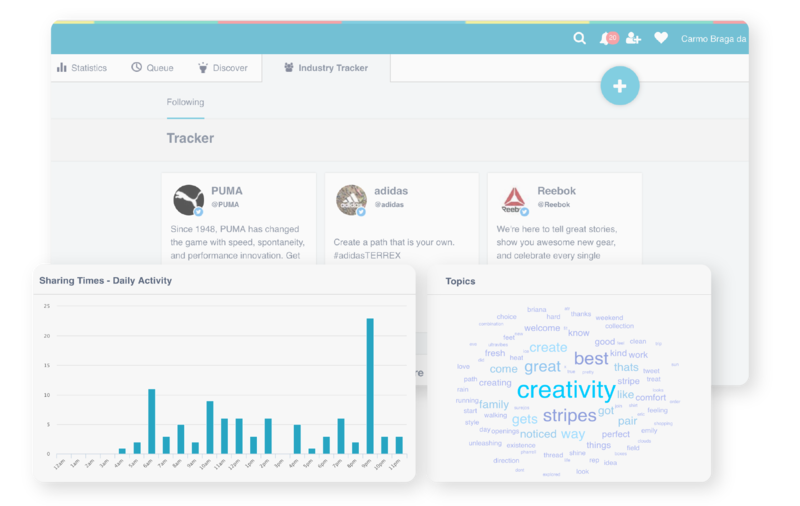 Industry Tracker was a natural development for a company that values insights as much as we do. We are putting information about competitors, prospects, influencers (or anyone, really) in front of all our users, in the easiest possible way to use and understand. The data provided by our Industry Tracker will clear the fog around your competitor’s or prospect’s activities online, helping you know exactly where to position yourself in conversations, and ultimately make better marketing and sales decisions. Industry Tracker is remarkably easy to use. It takes only 3 clicks to add anyone (no matter how big or small) to the list of accounts you will be tracking, and once that is done you are ready to go in and access unprecedented insights! You will then be able to see a detailed breakdown of their Twitter activity such as times and days they most commonly share, their most used hashtags, which topics they are talking about, who they are engaging with, and information on their most popular content. We created Industry Tracker so that anyone, no matter how social-savvy, would be able to use it. Everyone in your Sales and Marketing teams will be the true reapers of its benefits. For salespeople, Industry Tracker is a great way to find new prospects by discovering who your competitors are engaging with, or to understand the habits and preferences of your current prospects to move the conversation forward. Not only will you be able to find new names, you can also explore their activity and pinpoint exactly which topics they are interested in and when they are most likely to be posting. It’s a great starting point for engagement. For marketing people, this is the best tool for competitor analysis. Besides all the juicy data you get on followers, posts, daily activity, etc. 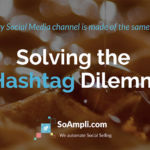 you will know exactly which topics and hashtags your competitors are using, giving you a leg-up on their strategy, campaigns, and exactly who they targeting and how. Less time researching, more time selling and creating relevant content. If you’d like to find out how Industry Tracker can help your business, get in touch with us here.